According to a new report, Apple executive Eddy Cue brought up the possibility while he was meeting with Time Warner’s head of corporate strategy, Olaf Olafsson. However, it's unclear how serious Apple was about the idea because the talks never made it to real negotiations. Maybe that was because the plan was tentative on Apple's part, or maybe Time Warner completely shot down the idea. Once you dig into it, there was probably little chance Apple would have been serious about the bid. The price that Time Warner would have commanded would have almost certainly been too high, considering Apple's biggest acquisition to date was "just" $3 billion for Beats. Generally the cost of buying a company starts at five years of revenue, which for Time Warner would be in the $150 billion range, which would be a huge chunk of Apple's $233 billion cash on hand. Additionally, Time Warner also posted yearly profits of $4.6 billion and $4.3 billion in 2014 and 2015, respectively, so it might have been that Time Warner simply didn't see the value in selling. That said, the report also notes that Apple would be spending “several hundred million dollars a year” on original TV content. This may sound impressive, but for context: in 2016, Netflix plans to spend $5 billion on original content; Amazon plans $2.6 billion; HBO will spend $1.8 billion; and Showtime plans about $700 million. So, "several hundred million dollars" would be a somewhat tentative entry into original programming for Apple. 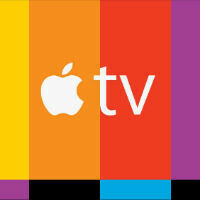 It's been no secret that Apple wants to make more headway in the TV space for years. There have been reports that Apple wanted to make an over-the-top box that would bypass cable providers. There have also been rumors that iTunes might morph into a Netflix-style streaming service. So, Apple will make some sort of move eventually. We just need to wait for it.